Please fill out the form below to contact us and someone will respond shortly. Tuesdays through Saturdays 10 a.m. to 5 p.m.
Group Rate: $8 per adult. Minimum block: 20 tickets. Call 231.720.2571 to inquire. MEIJER FOUNDATION FREE THURSDAY NIGHTS: 4:00pm – 8:00pm – Free admission. NOTE: Admission fees may change for some special events. 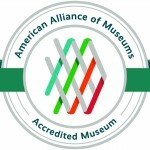 The Muskegon Museum of Art is fully accredited by the American Alliance of Museums. The Holiday Inn/Muskegon Harbor is the Official Host Hotel of the Muskegon Museum of Art . To find and compare hotels in Muskegon, check HotelsCombined.